Vish International is a well-known software developer in Punjab (India). 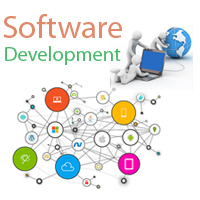 We are aided by a team of diligent software developers that develop different software and other applications. Before designing software, a complete market research related to it is done by collecting the required information. The coding of different software & apps is done and tested on different levels before it is released. Our developers also hold an expertise in bug fixing as well. Many companies approach us to get their applications and software designed. Do not hesitate in dialing our number and speaking to us.